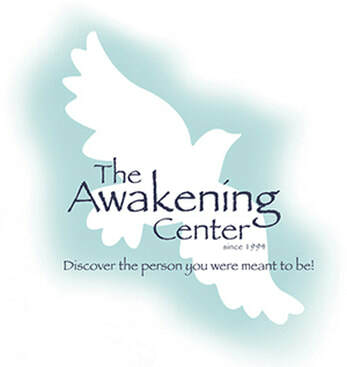 What is The Awakening Center? The Awakening Center is a private practice composed of counselors and nutritionists who have come together because of a shared treatment approach and philosophy. Why are you called "The Awakening Center?" Our name reflects our belief that each of us has untapped potential that can be "awakened" when we overcome our internal difficulties. We believe that you have deep within you the answers to your own questions and dilemmas, and our role as therapists is to help you find these answers and facilitate your growth process. Is The Awakening Center only for women? While our staff is currently comprised of women, we work with people of all genders and gender orientations. Is The Awakening Center just for people with eating disorders? While The Awakening Center is best known for our work with Eating Disorders, all of our staff also have special expertise and training in working with clients who are Trauma survivors, and we also help people with anxiety, depression, relationship difficulties, and life transitions. Is The Awakening Center a day program? The Awakening Center offers a range of services you can choose from to meet your needs however we are not a partial hospitalization or intensive outpatient program. If you are in need of intensive therapy you may come several times a week and combine individual therapy with group therapy and/or nutrition counseling. What will happen when I call the intake line at The Awakening Center? Please leave a confidential message at 773 929-6262 x14 - or send an email to awakeningintake@gmail.com. Our Office Manager will call you back and ask you a few questions about the reasons you are seeking psychotherapy. If we are the right place for you, she will then match you with a compatible therapist. Your therapist will then call you to set up an initial appointment. Sorry, we cannot make appointments via email. How will my fee be set at The Awakening Center? You and your therapist will discuss your fee in the first session. We are all in-network with BCBS PPO, Blue Choice PPO, and AETNA PPO. Some of our counselors are in-network with CIGNA. Your therapist has a full fee based on her training and experience. Each therapist also has a limited number of sliding scale fee appointments for clients with lower incomes. If you need a significantly reduced fee, you may see a therapist in training at The Awakening Center, when available. If I already have a therapist, can I see a nutritionist at The Awakening Center, or join a therapy group there? Yes. We are happy to collaborate with outside therapists, psychiatrists, or other professionals. I don¹t like my current therapist. Can I switch to a therapist at The Awakening Center? We suggest that you discuss these issues with your therapist first to see if you can work them out. If this is not possible we recommend that you inform your therapist of your decision to end your treatment before making an appointment at The Awakening Center. You may also set up a consultation appointment with us to discuss the problems you are having with your therapist.